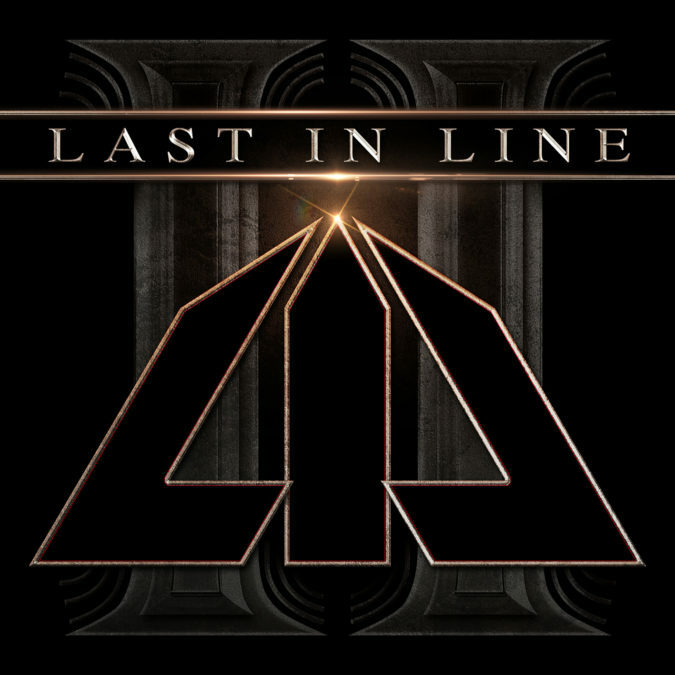 LAST IN LINE, the act that originally began as a tribute to the band DIO from some of its former members, announce the arrival of their sophomore studio album. Appropriately titled ‘II‘, the second outing of all original material from LAST IN LINE will be released on February 22nd, 2019, from Frontiers Music Srl. The band once again co-produced the album, alongside another previous DIO member, Jeff Pilson (Dokken, Foreigner, MSG). This team was behind the band’s 2016 introduction, ‘Heavy Crown‘. There have been changes in the band since that initial offering two years ago, the most significant one being the addition of Phil Soussan. Soussan joined LAST IN LINE after the 2016 passing of founding bassist, the legendary Jimmy Bain. Soussan has been pivotal in this partnership with guitarist Vivian Campbell, drummer Vinny Appice, and singer Andrew Freeman, stepping in at a crucial point to help the band’s continuance. LAST IN LINE was founded in 2012, as an homage to the late, great Ronnie James Dio’s solo band, DIO, and the music they created. Featuring former DIO members Vivian Campbell, Vinny Appice, and Jimmy Bain at the time, they soon transitioned to a contemporary working band, one determined to honor the legacy of DIO, while creating new music that possessed that classic act’s spirit. ‘II‘ is the next step in that mission, an album that reveals great progression in LAST IN LINE and their music, while being immediately recognizable for their shared roots. To experience that magic, LAST IN LINE are premiering the first single to surface from ‘II‘, “Landslide“, along with the song’s official video. Check it out below with the pre-order info and the band’s upcoming 2019 U.S. tour dates. LAST IN LINE ‘II‘ is available to pre-order now on PledgeMusic where you can gain access to exclusive and unique merchandise bundles and experiences with the band, plus behind the scenes access with exclusive photos and videos from the making of the record [LINK].